MOBILE, AL--(Marketwire - February 1, 2011) - If you are looking for a family-friendly Mardi Gras, go the original -- Mobile, Alabama. Mobile was the birthplace of Mardi Gras in the United States and the historic Battle House Renaissance Mobile Hotel & Spa has been at the center of the fun for nearly 150 years. Originally built in 1852 and closed in the mid-1970s, the Battle House has been restored to all its original grandeur. 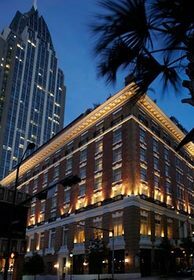 The boutique hotel in Mobile reopened in May 2007 and has been named as one of the "Top 500 Hotels in the World" by Travel + Leisure in 2009. Both the Battle House and its Trellis Room restaurant have received Four Diamond ratings from AAA. The hotel has also been named one of National Geographic Traveler's "Top Places to Stay" in North America and was named a favorite by Coastal Living. The 238 gracious guest rooms, new spa and historic lobby, restaurant and ballrooms make Battle House the perfect urban retreat for business and leisure guests with an affinity for the finer things in life. The hotel has 35,000 square feet of meeting space and is connected to RSA Battle House Tower. Parades start in mid-February and run until March 8, Mardi Gras Day. Most of the parades pass right in front of the Battle House. Joe Cain Café, one of the hotel bars, also has a Mardi Gras theme all year long. Rates start at $159 per night during Mardi Gras season. For more on the Battle House, vacations in Mobile, AL, or to make reservations, visit www.renaissancebattlehouse.com. A complete list of Mobile Mardi Gras parades is below. For more on Mobile Mardi Gras can be found at www.mobile.org. For more on the Battle House and the entire Resort Collection on the Robert Trent Jones Golf Trail, visit www.pchresorts.com. Located on the corner of Royal and St. Frances streets, The Battle House has seen the parades of Mardi Gras roll past for more than 160 years.